What’s the second best way to get around Paris? THE METRO!! It’s faster than the above-ground gridlock, super cheap, and practical. How do I buy tickets!?! 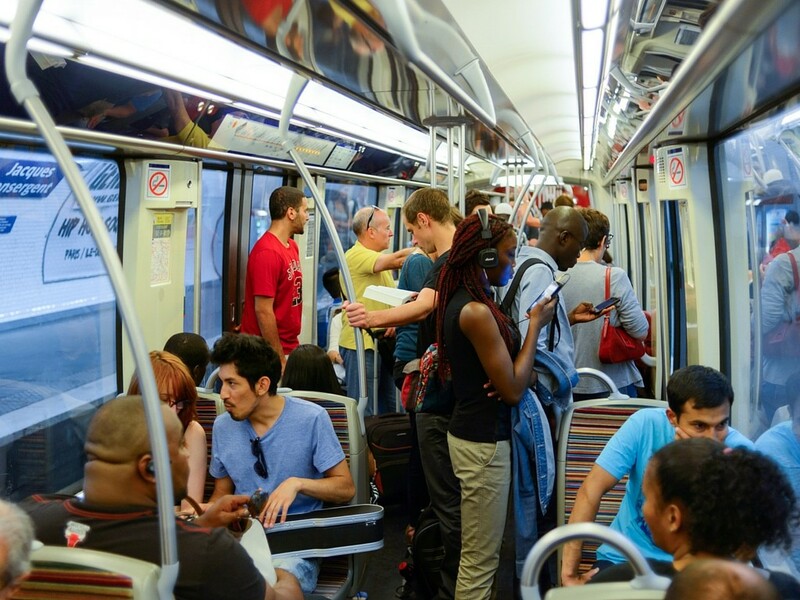 In this article we’ll cover EVERYTHING you’ll need to know when navigating with Parisian Metro. 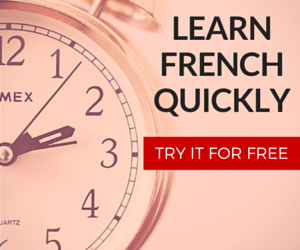 I’ll share both pro-tips and advanced material to make whizzing across the French capital a breeze. We’ll start off with the basics for those unaccustomed travelers and then we’ll head into more advanced territory for the seasoned veterans. Near the end, I’ll also tell you a story about how the French authorities caught me red-handed in the métro system. Who am I? I’m John Elkhoury and I’ve both worked and lived around Paris. I commuted with the metro on a daily-basis, so when foreigners visit me in France… guess who would be the navigator? Welcome to the Ultimate Paris Metro Guide here at FrenchCrazy. Attention à la marche en descendant du train. Paris’ public transport system is run by the RATP (Régie Autonome des Transports Parisian) which transports over 8 million people per DAY. 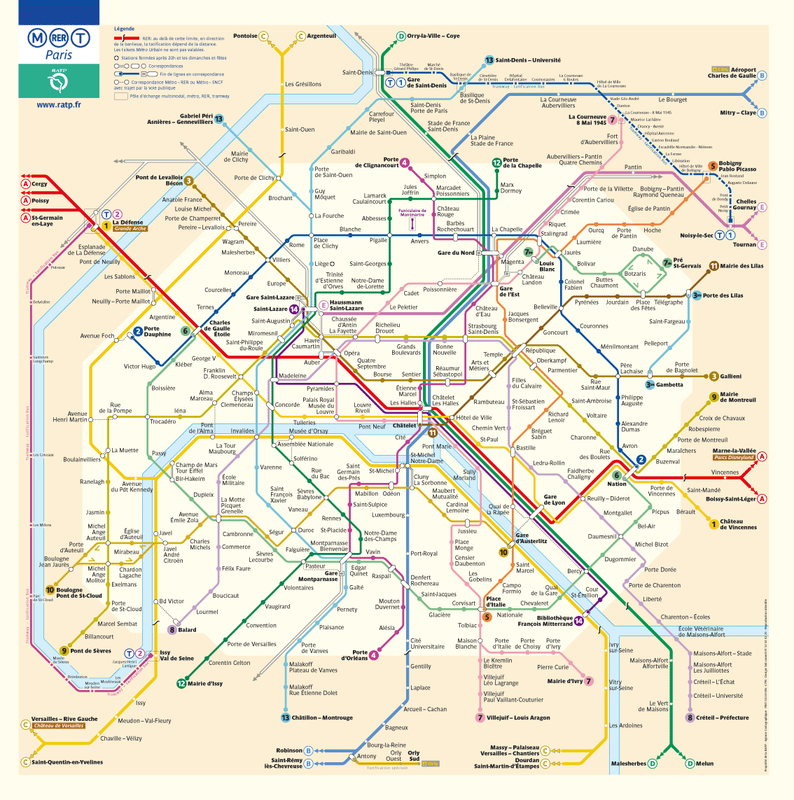 The RATP network consists of metro lines, city buses, trams, and trains which helps move Parisians within the capital as well as to and from the outskirts of the French capital. Some lines and stations are more frequented than others, depending on where you’re going the metro can be a nightmare or a blessing in disguise. When looking at a metro line, you’ll notice two or more locations at the end. These are the terminuses (or termini, both are accepted by Oxford English). The idea is that if you rode this yellow line, it would ultimately end at Château de Vincennes. The train will stop, wait a few minutes, then go back in the other direction all the way until La Défense. Every platform you enter will denote a terminus. The termini are important because they signify which direction your train is running. Confused? Look at metro 1 again. If we are at Châtelet and we want to head to Les Champs-Élysées, which terminus direction should we go in? First find Châtelet on the map, look for Champs-Élysées and then the corresponding terminus towards that direction. Right! If we want to get to Champs-Élysées – Clemenceau then we would go in the direction of La Défense. This doesn’t mean we want to go all the way to La Défense… simply towards it. We would get off at the 5th station. Because you can be on the right train but end up wasting time when you realize that the train is going in the opposite direction! Yes… we’ll you’d be surprised HOW MANY PEOPLE DO THIS. Another thing to notice is that various stations connect to other metro lines. In this photo, if we were on this orange line we could connect to Metro 3, 8, 9 and 11 at République. A few stops later, we have access to Metro 4, 7, the RER B to the airport, the RER D, the RER E, and express trains which head to other cities. Connecting stations are marked by white circles while stations without any connections remain the normal color. Notice that the station, Jacques Bonsergent, doesn’t connect to anything? These stations are usually smaller in size and complexity. Use connecting stations to cut through Paris and save time. Some lines reach the same destination, although they take longer to get there. Always examine your options! Be confident that you’re on the correct train and that you’re heading in the right direction BEFORE boarding. If you’re traveling with more than one person then tell them what station you have to get off at in case you’re not paying attention when it comes time to disembark. Also, check and see if there are other stations that are close to where you ultimately want to end up. The Eiffel Tower can be reached by using 5 different metro lines, so it’s up to you how to get there. Sometimes you can get away with making one less metro transfer by walking the final few minutes above ground. Which metro line would we take? How many stops is it to our destination? Answers are revealed at the end of the guide. To avoid getting in trouble, you should always purchase a ticket. You can buy tickets onboard the buses, at automated machines, or by information kiosks. 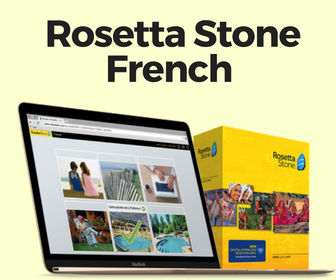 Even if you don’t speak French, it’s okay. You can select from multiple languages when using the automated kiosk. Please note that some kiosks don’t accept certain American credit cards. One-time use tickets currently cost 1.80€ however there are other options available. Go to the main RATP website to see them all. There’s a choice between getting tickets within the Paris region or for ways to reach other zones. When you buy a metro ticket for zone 1+2, you can switch between multiple different lines without having to purchase more tickets. The second you leave the tube is when you’ll be required to pay again to re-enter. Now off the corner of your eyes, you may notice that a lot of people don’t actually use tickets. Purple Navigo passes let residents of Paris travel for a lower monthly rate. Don’t concern yourself with this option unless you plan on using the metro consistently for months at a time. How can I save money on the Metro? If you buy 10 or 20 metro tickets at once the price per ticket is reduced. This is called a carnet (kar-nay). Buying a carnet also saves you time because you won’t need to wait at the ticket kiosks. Day passes are also available! For example, a day-pass ticket known as “PARIS VISIT” lets you use unlimited metro, tram, & bus rides. It also offers 100€ in reductions for 14 popular tourist destinations! Yuu can purchase the pass for 1,3 or 5 days. Here’s more information. When you run your ticket through the machine, keep it for the duration of your journey and only throw it out once you’ve successfully exited the metro system. 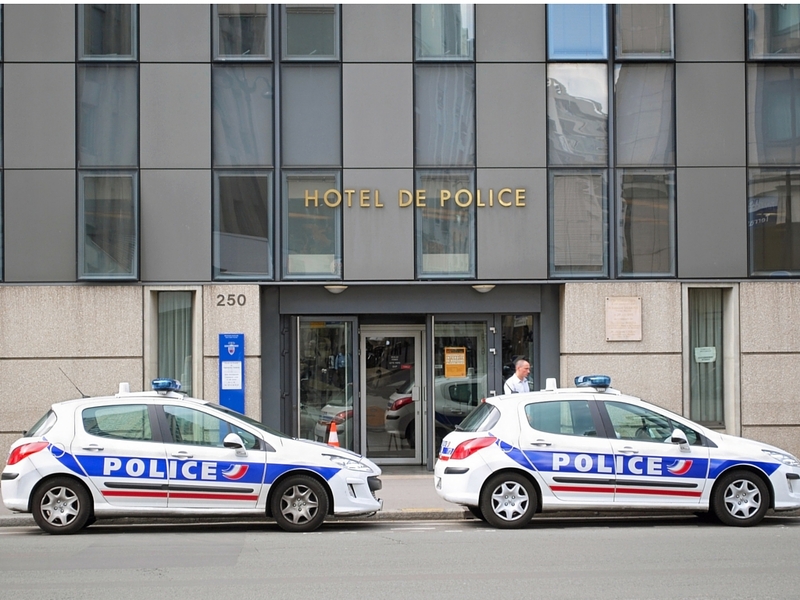 This is because occasionally the police will do a “contrôle” and check your tickets to see if you paid. The RER or the Metro? Which is better? Both these services have slightly different needs. The RER is primarily for getting people into and out of Paris while the metro serves as the sprawling branches that hit every neighborhood. The RER trains still manage to dissect right through the heart of Paris and hit all the large train stations. The RER is indeed faster than the normal metro and this is because the RER is a legitimate train as well as because it has less destinations within the city. Taking the RER A from Charles de Gaulle Étoile to the Gare De Lyon lasts about nine minutes. This is substantially faster than taking the Metro 1 for 27 minutes along an identical route. You just saved almost 20 minutes! The only downfalls to the RER is that the trains are not as frequent as some of the metros which arrive every 2-4 minutes during peak hours. Likewise, the RER hits less locations around the actual city of Paris and the tickets cost more money. Want a tip to maximize your comfort? As your train is passing by you should scan the cars to see how full it is and make your way towards one that has a small amount of people (if time permits). If a train seems impossibly full then you should still try to board it anyways because oftentimes it clears out within a few stops (usually after major connecting stations like Châtelet or Auber). When you get on-board, should you rush in and take a seat? This is more of an issue with the metros rather than the RER’s, although I’ve been on more than one RER A which was overcrowded. Seats on a crowded metro are often reserved to the elderly, disabled, or those with small kids. I’ve seen chivalrous guys who will get up to let a lady sit down, although it’s not required in areas without the signs – it’s only appreciated. The foldable chairs by the doors, however, should not be sat in when busy to maximize space. This is because for the space you’re sitting in, one or two extra people can squeeze in. Oftentimes, in this situation, you’ll see clueless tourists sitting without a care in the world. I personally avoid sitting down if the metro is crowded. If you only have four or fives stops then you can avoid sitting for eight minutes. Give the seat to someone who would actually care to have it. Politely make your way towards the doors once the train begins to stop. The doors should open automatically however sometimes you’ll need to press the little green button or pull up on the door lever. If the doors don’t open then usually it’s because the train has not come to a complete stop when you first tried. Once you get off of the train, quickly pick your head up and look for the signs hanging from the ceiling. These indicate how to get to your next destination; you’re either looking for the blue exit signs (sortie in French) or the symbol of your next train. If you’re transferring from the metro system to the RER then you should have your composted ticket ready. Move, Move ! Moooooovvvvvveeeeeeee !!! The most important tip in this guide? Moving quickly in the tunnel system avoids missing trains and having to waste time. Imagine this: if you walked just a bit faster to catch your connecting train – you wouldn’t have missed it by 1 minute. That one minute now costs you EIGHT, because you must wait for the next train. Don’t stress yourself out over this fact, just realize that some people have to go to work and may be blazing past you. Do you think Parisians enjoy wandering around the stuffy, oftentimes overcrowded stations willy nilly? When in Paris, do as the Parisians do – move or get trampled. Sometimes I see people jumping the turnstiles; should I do it? Occasionally the barrier to enter and exit the metro is low enough for you to jump over it without paying. You might find this in residential zones outside of Paris and a few stations within the city itself. Do you get in trouble? People do get in trouble. It’s time for a personal story! It was a busy, chaotic day at the Champs-Elysées – Clemenceau entrance. Rush hour was upon us and hundreds of people swarmed into the metro station. I was with my friend Anthony, an American who was visiting me in Paris. After waiting in a long line, I bought 2 tickets from the kiosk – one for me and one for my buddy. I then lined up to run my ticket through the machine and enter the tube. Well, there was an old man in front of me. He tried using his ticket to gain access, HOWEVER his ticket came back out of the machine with an error code. The gate didn’t budge and a loud buzzing noise could be heard. Before realizing that the machine didn’t accept his ticket – and that he would have to try it again – I ran my ticket through the machine. The gate whizzed open and he walked through the gate. This old dude just went through the turnstile off of my ticket! I shouted in protest but he just looked back at me from the other side, shrugged, and walked away. panic because my friend Anthony didn’t have a working French cellphone and he already descended into the metro system without me! With a rush of people behind me, I made a split second decision. I jumped the barrier and hastily made my way towards the staircase to find my friend. Well.. I didn’t make it far until I was confronted by an RATP employee who caught me in the act. He was waiting, off to the side, with several police officers. Many of the cops were already busy talking to people and giving out fines (likely for jumping the barrier). “What are you doing, where is your ticket?” he questioned. I guess the “dumb tourist defense” worked in this situation? I deserved to pay a fine, but I got off the hook. The agent clipped my ticket and let me go. I walked down the staircase and my friend was standing there, clueless as to what held me up. Overall, if you don’t jump the turnstile then you’ll avoid the unnecessary trouble and hefty fines. Soon after that incident, I had a Navigo Card and never had to worry about buying tickets again. If you successfully manage to hop a turnstile – don’t think you’re not scott-free yet! When you exit the metro system, some stations require you to feed your previously used ticket through the machine to exit. At exits, the cops occasionally set up stings. If you jump the barrier to leave – they’ll nab you. If you look like a lost puppy at the sight of cops and try to re-enter the metro system… they’ll nab you. 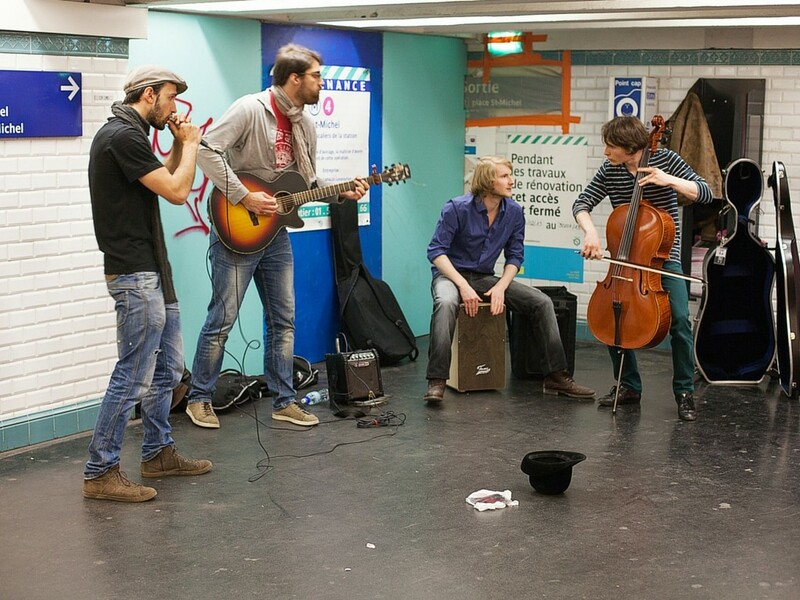 A common scenario for the metro is for musicians to hop from car to car and play music for spare change. Other times, ragged people will walk in and beg for money after making a large speech to metro-riders. If you want to open your heart, fine. But don’t feel obligated. Pick pockets do exist in Paris, so keep a hold of all your belongings and watch your bags. Smartphones, wallets, and watches are a target for thieves. If you have internet in Paris, this smartphone application makes your life ENORMOUSLY EASY. Not only does this application make your life 100 times simpler; it does so for FREE. The app is able to string together any itinerary simply by setting your starting station and your final destination. You’ll be notified about when your train arrives, what direction you need to go, how many stations you ride for, where you need to change stations, and HOW LONG the total trip will take (oftentimes accurate to the minute). I think it’s essential to know how to read the metro maps and how to navigate, but this app can help automate complex routes and help give you the best way according to current traffic patters. It’s common sense. DOWNLOAD IT NOW. Well this guide is ENORMOUS! I hope that it at least helped clear some confusion about the metro system! Oh… wait! The answers for the quiz? You would take the dark-purple number 14 line in the direction of Bibliothèque François Mitterrand. You will pass the station Bercy and Cour St-Émilion is the 2nd stop. Check out more of our awesome tips on visiting Paris. Also, don't forget to share and bookmark our Paris metro guide or LIKE FrenchCrazy on Facebook to stay up-to-date! Unfortunately, senior citizens do not travel for free on the Paris metro. I LOVE YOU! Thank you for this…while not making me feel challenged.